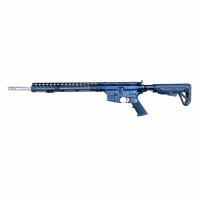 AR-15 Rifles - featuring a collection of AR-15 Rifles. If you don't find what you are looking for, please visit us at Moriarti Arms for a comprehensive list and current sales of firearms. These are FFL transfer items. All NFA rules apply. 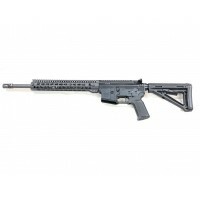 AR-15 5.56 MORIARTI ARMAMENTS 24" SUPER VARMINTER The super varminter allows for maximum accuracy from the AR-15 platform with a 100 yard .5" group accuracy guarantee. 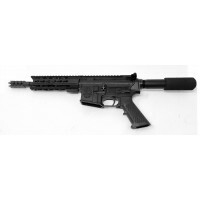 • Weight: 10.0 lbs• Finish: ..
AR-15 5.56/.223 MA-15 DEFENDER SERIES M4 TACTICAL RIFLE W/MAGPUL STOCK • Weight: 6.2 lbs• Finish: Anodized Black• Action: Semi-auto direct impingement • &nb..
AR-15 MORIARTI ARMS 7.5" MA-15 RAMBO M2 PISTOL. THIS IS AN FFL ITEM. 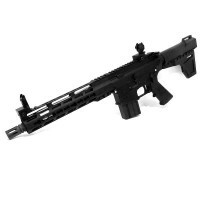 MUST BE SHIPPED TO FFL.•Weight: 5.0 lbs•Finish: Anodized Black•Barrel: 7.5” 41V50 STEEL. 1-7 TWIST. 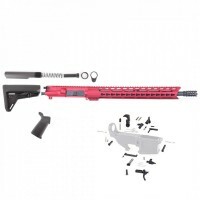 Black Nitride Coated.•Gas System: Pistol .750•Handguard: FREE FLOATING CARBINE LENGTH SLANTED KEYMOD RAIL•Chamber: 5.56 NATO (will ..
MA-15 7.62X39 AR-47 18" STAINLESS M-LOK SURGE RIFLE. Made to mil-spec tolerances. Must be shipped to FFL. Please note, this is a custom build. Barrels are sourced and made especially for you on pre-order basis. ETA: 2-3 months. 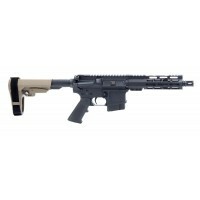 • Weight: 8.0 lbs• ..
MA-15 7.62X39 7.5" M-LOK PISTOL W/ FDE SBA3 BRACE. Made to mil-spec standards. Must be shipped to FFL. 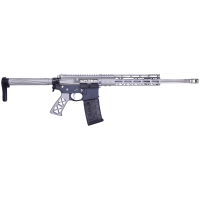 • Weight: 6.0 lbs• Finish: Anodized Black• Action: Semi-auto direct i..
MA-15 MORIARTI ARMS WINTER EDITION 5.56/.223 16" STAINLESS STEEL AIRLIGHT SERIES RIFLE IN TUNGSTEN GREY provides the shooter a light-weight, free-floated, rigid design resulting in superior performance and accuracy. 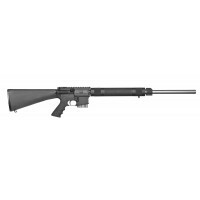 All complete rifles are assembled by our professional VA gunsmiths and are..